The large cap stock has been losing for last two days and fallen 8.53% during the period. It touched an intra day low of 935 in trade today, logging a fall of 7.60%. The HCL Technologies stock closed lower today after the firm said it would acquire select IBM software products for $1.8 billion (over Rs 12,700 crore) in an all-cash deal. The stock ended 4.98% or 50 points lower at 961.55 compared to previous close of 1011.95 on the BSE. The stock has gained 11.92% during the last one year and risen 7.96% since the beginning of this year. The large cap stock was trading below its 50 day and 200 day moving averages of 1009 and 994.89 level, respectively. 32 of 43 brokerages rate the stock "buy" or 'outperform', 8 "hold" and three "underperform", according to analysts' recommendations tracked by Reuters. "I don't think it will help HCL on a long term basis ... this deal is a negative from HCL's standpoint," said Sudheer Guntupalli, a technology sector analyst with Ambit Capital in Mumbai. "They already have IT partnerships for five of the seven products in the deal. So there would hardly be any incremental benefits on a qualitative basis," he told Reuters, adding that it did not make sense for HCL to rely so heavily on a single vendor's software when rivals have remained technology agnostic. The transaction, subject to "completion of applicable regulatory reviews", is slated to close by mid-2019, HCL Technologies said. "IBM and HCL Technologies today announced a definitive agreement under which HCL will acquire select IBM software products for $1.8 billion," it said. 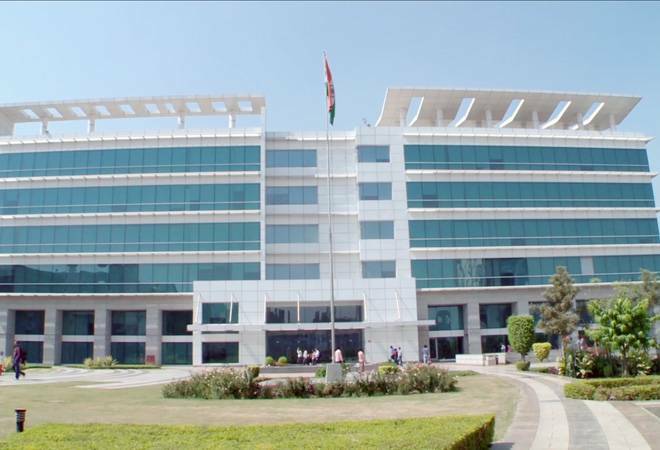 With this acquisition, HCL Tech will get software products in areas of marketing, commerce, security and collaboration, a "highly profitable revenue stream" containing a significant annuity component, and access to over 5,000 large clients across industries and geographic markets, along with sales and marketing teams, the filing said. This is the biggest acquisition for HCL Tech till date, and among the largest by an Indian tech company. The acquisition also reflects HCL's ambitions for software products business-considered to be the next growth frontier for IT companies. "The products that we are acquiring are in large growing market areas like security, marketing and commerce which are strategic segments for HCL. Many of these products are well regarded by clients and positioned in the top quadrant by industry analysts," said C Vijayakumar, president & CEO, HCL Technologies. John Kelly, IBM senior vice president, Cognitive Solutions and Research, said: "We believe the time is right to divest these select collaboration, marketing and commerce software assets, which are increasingly delivered as stand-alone products. At the same time, we believe these products are a strong strategic fit for HCL, and that HCL is well positioned to drive innovation and growth for their customers." Tata Motors share skids to fresh 52-week low; time to buy the stock?